She should probably lay off the hair products altogether. On the other hand, it looks kind of fun being poofy. She could fall over and just sort of bounce gently, like a small child in a puffy coat. 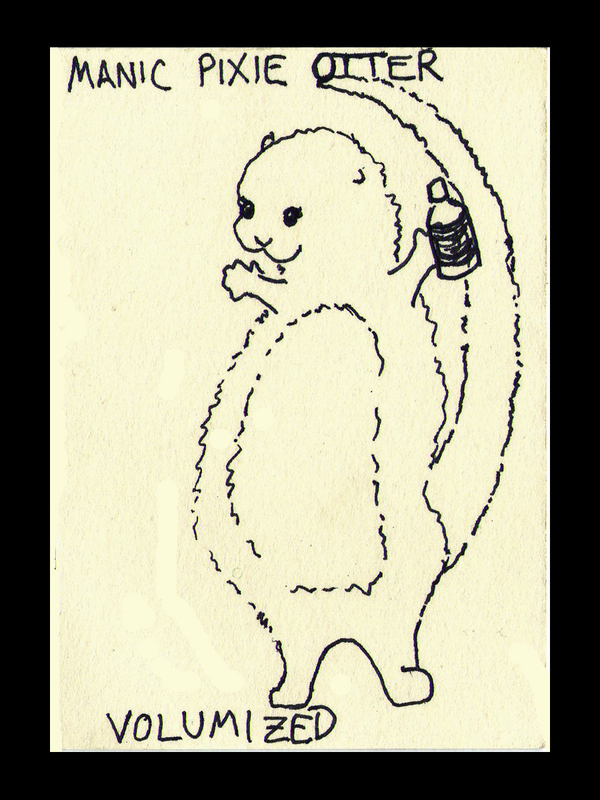 This entry was posted on December 19, 2013 by naralesser and tagged non-owl, otter.